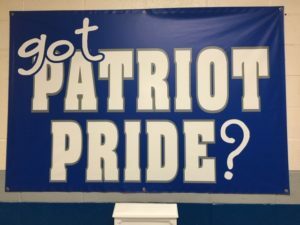 Hills Chapel School – Home of the "Patriots"
Today is the day! 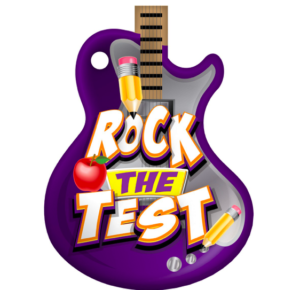 Third and eighth grade kick-off state testing today! 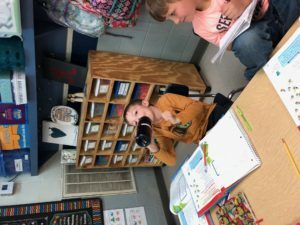 The BEST way to ensure your child is ready for his/her state assessment each day is to help make sure he/she gets a good night sleep, eats a healthy breakfast and is at school on time each day. Kindergarten and Pre-K will kickoff testing by taking the Mississippi Kindergarten Readiness Assessment (MKAS) on Wednesday (4/17) and Thursday (4/18). 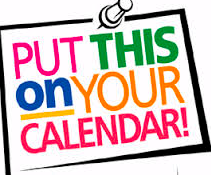 Third and Eighth grade will kick off MAAP testing on Tuesday April 23. Congratulations to Mrs. Saylor’s first grade class. Each student received a copy of former Super Bowl winning wide receiver Malcom Mitchells book entitle, “The Magician’s Hat”. Students and teachers are enjoying the Patriot Retreat. Flowers has been planted and work continues on it daily. 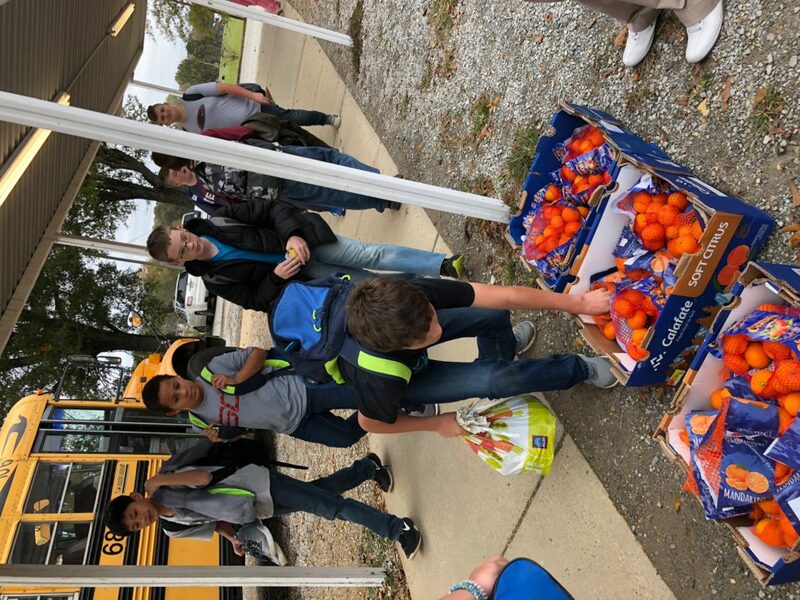 Each Wednesday, students are now allowed to purchase various fruits and other healthy snacks from the Patriot Produce Stand. 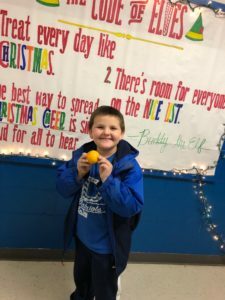 We are proud to offer these healthy snack options to our students. About time to start registering for summer camps. 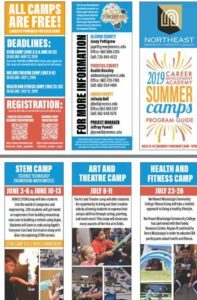 The Career and Development Academy at Northeast Community College will host it’s second year of summer camps! All camps are FREE! Lunch will be provided for each camps. for more information, read brochure for deadlines, dates, etc. Great opportunity for children. The 2018/2019 Hills Chapel Patriot Pride yearbook goes on sale today, Feb. 27 and will run through April 26. 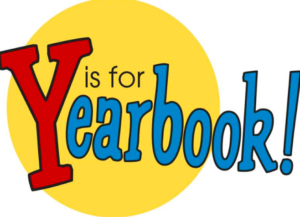 The cost of the yearbook is $35 and can be split into two payment of $17.50 each. Final payment must be made by April 26. Anyone who would like to purchase an ad, they are also available at the following prices: full page($90), half-page($45), and 1/4 page($25). Ad payments are also due by April 26. Envelopes and flyers should be coming home this week. If you have any questions, please contact Mrs. Rebecca Carnathan (rcarnathan@prentiss.k12.ms.us) or 728-5181. We are excited to announce Hills Chapel has received a Garden Grant from Blue Cross Blue Shield of MS in the amount of $48,000. Upcoming projects you may here about include a farmer’s market, flower and vegetable garden, and health related curriculum. 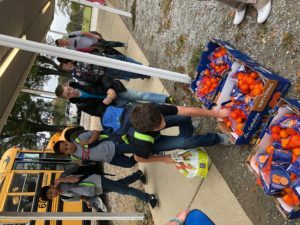 From the produce stand, students will begin selling fresh fruit and healthy snacks during store break; a Patriot Retreat will be constructed by the flag pole where students will enjoy picnic tables and raised flower beds. A great place for students to enjoy reward time, afternoon snacks, and lunch time. 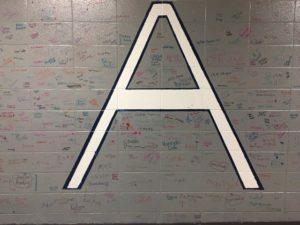 Attention 8th Grade Parents: Due to the overwhelming response on the survey about the 8th grade recognition being separate from Awards Day, our 8th grade recognition will be May 16, 2019 at 6:00 pm. The awards program for the 8th grade will be held in the gym beginning at 6:00 pm with a reception for the 8th grade in the cafeteria. Thank you all for the feedback! The flu season is upon us. In an effort to help reduce flu within the schools, please read the article published on the Centers for Disease and Control website under recommendations for schools. 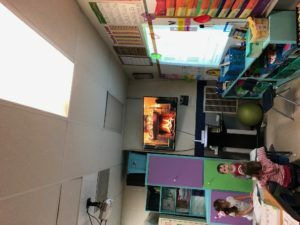 As we begin our the second semester this school year, remember cold weather is just around the corner. In an effort to promote good attendance for the next 2-3 months, please read the pamphlet on ways parents can help promote good attendance. 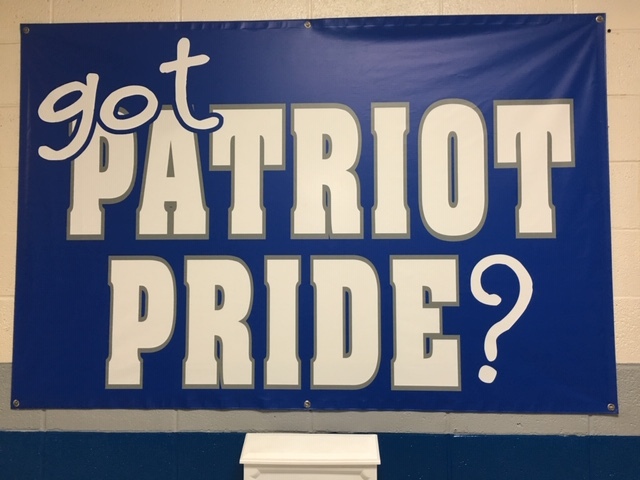 A BIG “Patriot” shout out goes to 7th grade student Taylor Blythe! 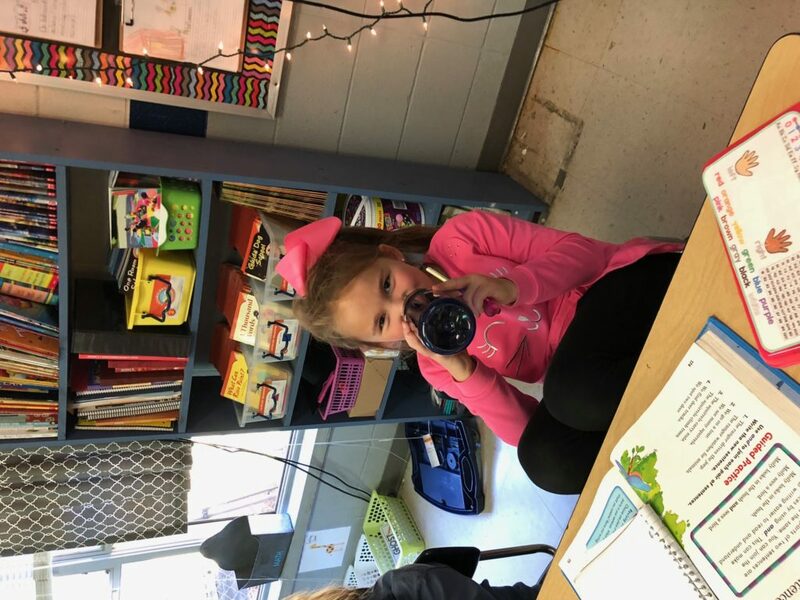 She is the 2018-2019 Prentiss County Spelling Bee Winner. A BIG “Patriot” shout out goes to 2nd grade student Victoria Lloyd for placing first in the regional reading fair. 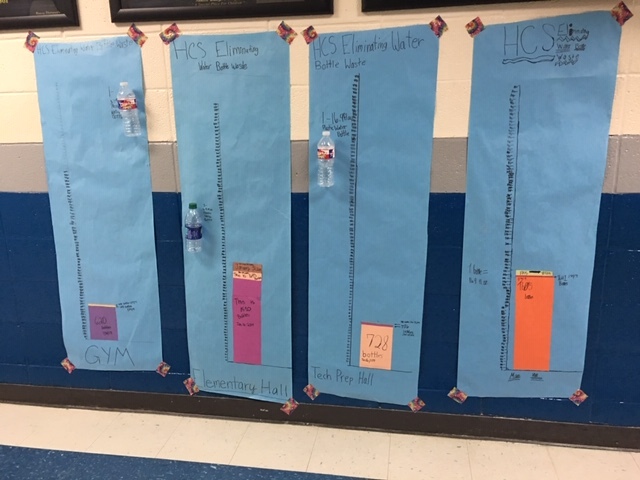 Congratulations to 8th grade students Victoria Nunley and Madalyn Featherston for placing fourth and sixth. Blue Cross Blue Shield Grant– The planning phase of the Hills Chapel Health and Wellness Building in nearly complete. The design has been approved and bids should begin around the first of March. Thanks to a grant by BCBS our students, teachers, and community will be able to use this new facility to focus on health and well-being. Another great aspect is when construction begins, a layout of the walking track will begin also. The community will be able to use the new walking track. Dates for testing throughout the year can be seen on the link for 2018-2019 Test Transparency Information.